Around the Office - January 2016 | Rocco & Associates Wealth Management, Inc.
First Annual Toy Drive a Success! This year we launched our first annual Toy Drive, in conjunction with the Fairfield County Chapter of Toys For Tots. The drive’s objective was to raise awareness and spread some cheer to those less fortunate children in our surrounding area. Clients and friends donated throughout the holiday season and the giving spirit culminated on December 15th, the night of our Holiday Reception. Guests were encouraged to bring an unwrapped toy and the response we received from clients, friends and other business partners was simply incredible. The outpouring of support and generosity no doubt brightened many homes this past Christmas. Thank you to all that participated and we look forward to doing it again next year! We are excited to welcome back Catherine O’Connor for the spring 2016 semester as our new Business Development Coordinator. Previously, Catherine filled the role of Business Development Intern. Unlike other traditional internships, we completely immerse our candidates into all facets of the business, include them in both team and department strategy meetings, as well as look for them to be contributing members on all of our ongoing projects. She is originally from Quincy, Massachusetts and is currently a senior Finance major attending Quinnipiac University. After seven years, the Federal Reserve met in mid-December and raised its key benchmark rate by .25%, a decision it described as a vote of confidence for the current strength of the U.S. economy. This signals the beginning of the end for the central bank’s stimulus program. Fed officials emphasized that they intended to raise rates gradually, and only if economic growth continues. With nowhere for interest rates to go but up, many of our clients have expressed concerns regarding fixed income investing. While bonds have traditionally been considered the fixed income investment, we believe that there are a number of other income driven options that are suited for rising interest rate environments. If rising interest rates are a concern, we would be more than happy to go over your portfolio and your options. Having been in business for over 40 years, we have seen interest rates at the lowest of lows and the highest of highs, and would like to share our experiences with you. Please do not hesitate to call the office if you have any questions or would like to set up a time to meet. 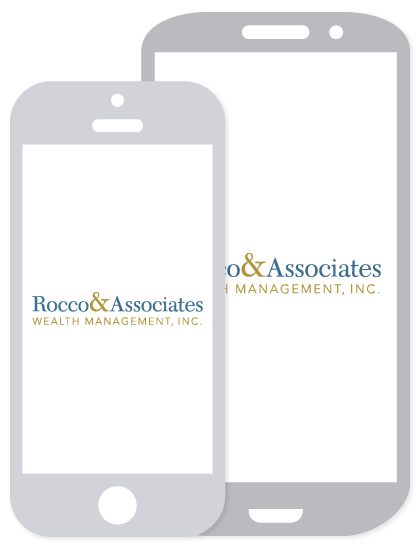 Did you know that Rocco & Associates is active on a daily basis on our social media accounts including LinkedIn, Facebook and Twitter? With the addition of two interns to our team this past semester, we have really been able to increase the level and quality of the content across these popular social media sites. We continue to try and push out a diverse mix of both financial and other content. If there are certain topics that you would like to see, we would welcome any and all feedback. If you have a moment, please email [email protected] what you enjoy about our social media posts and how we can improve them. As always, we encourage you to share with friends and family!